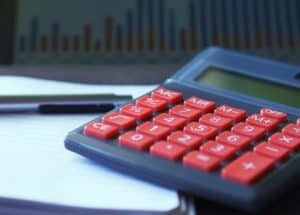 What is Profit.ly? 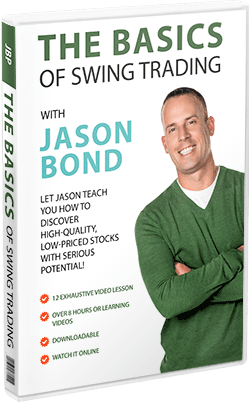 Can it help you learn to trade stocks fast? Check out our Profit.ly review. Profit.ly is a website that supplies you with all the tools that you will need to learn to trade stocks fast. Profit.ly offers trading courses, DVD’s, stock picking services, chatrooms and a way to record/verify all your trades. The Profit.ly platform has had many famous stock traders run services on it and still hosts a few of the best traders in the world. In this Profit.ly review we hope to show you what we like and dislike about the platform. Profit.ly is a fantastic community of over 120,000 active traders. 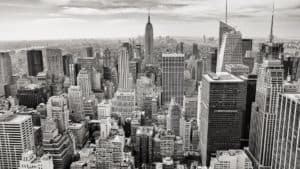 It was founded by Timothy Sykes 10 years ago to try to bring together stock traders and add some transparency to an industry that desperately needed it. Timothy Sykes is a multi-millionaire penny stock trader. His claim to fame was that he traded $12k into $2MM in a few years while in college. Tim was featured on a hit T.V show called Wall Street Warriors. ﻿Profit.ly aims to find the best traders and give them a platform where they can share their results with others. ﻿Disclosure: Please note that some of the links on this page are affiliate links. This means that we may earn a commission, at no cost to you, if you decide to make a purchase after clicking through the link. Please understand that we have experience with these companies, and we recommend them because they are helpful and useful, not because of the small commissions that we may receive if you decide to buy something through our links. Please do not spend any money on these products unless you feel you need them or that they will help you achieve your goals. Tim Sykes used some of the fame that he gained from the Wall Street Warriors to build Profit.ly. The site started with the aim to show people that not all penny stock gurus are frauds or liars. Tim liked the idea that the platform could be used to ‘verify’ the claimed track records of penny stock traders. Access to the trading community to post blogs and comment on other people’s trades. You can see all users verified trades except those that the gurus currently have open. To see those trades, you will need to upgrade to a premium subscription. You can follow any of the traders on the platform. This allows you to see their trades and get notified when they update blogs or post a new verified trade. 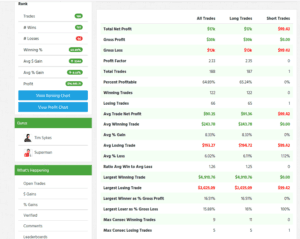 Upload your trades to track your wins, losses and analyze your trades. This is one of the best features on the Profit.ly free account. You can even verify your trades by uploading screenshots etc. I honestly do not see any advantage in paying for a premium Profit.ly account just to get the more complicated trade statistical analysis. The Profit.ly free account is a great way to record your trades and you do get quite a bit of the basic statistics. You can see your average % gain, % loss and overall profit/loss. There are a lot of different statistics for your trading history. Here is a screen shot from my free Profit.ly account. You can see all the different details about the trades that you have entered. The Profit.ly free account is more than adequate for keeping a record of your trades and seeing what your profits and losses are. The features described above are all available with the Profit.ly free account. It is not immediately clear when you first visit the Profit.ly website that there even is a free Profit.ly account. But if you go here and click on the ‘Join Now’ button while ignoring all the premium Profit.ly plans. The Profitly sign up process only takes a minute or two. After you have completed the Profitly sign up process you will have access to the features described above! There is currently only two Profit.ly gurus that run chatrooms, stock alerts, video lessons and many other educational resources. Over the years, many expert stock traders have started stock alerts services on the Profit.ly platform. However, they always seem to move on and start their own websites/businesses away from Profit.ly. Timothy Sykes runs Tim’s Alerts ($74.95 per month) and Pennystocking Silver ($149.95 per month). You can learn more about these stock alerts services here. 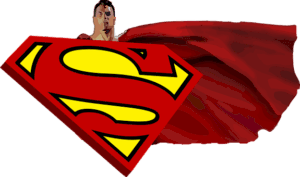 Superman (aka Paul Scolardi) runs Superman Alerts ($147 per month) and Superman Pro ($247 per month) services. You can read more about his services here. Both these stock alerts services are excellent. Both of them teach you how to trade penny stocks and make money trading. I prefer Superman Alerts because the style of medium-term swing trades is better for my personality type. Tim Sykes does more day trades and shorts more stocks than Superman. I would try both of these services if you are interest in becoming a better stock trader. You can read more about them here. I have been a member of both services and written extensive reviews on the pros and cons of each. Check out my Superman review and my Tim Sykes review for the complete breakdown of each service. 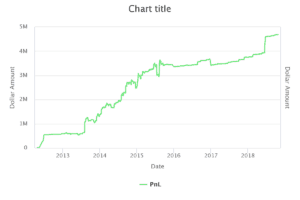 One of my favorite features of the Profit.ly platform is the ability to display your profit/loss chart. You can use this to keep track of your own trades or to show off to your friends! Here is Superman’s chart. Superman has made nearly $5MM trading stocks since 2013. Very impressive! You can also find a whole library of stock trading courses on the Profit.ly Site. Like most stock trading DVDs, these courses can be quite expensive but totally worth it if you want to take your trading education to a new level. Here are some of the expert stock traders that have previously run stock trading services on Profit.ly. These guys are all really good traders and have quite different trading styles. It was a shame that some of them left Profit.ly but most still run their own services from their own sites. The Profit.ly trades that you upload to the platform can be done manually or automatically by linking your brokerage to the site. Profit.ly trades that are uploaded directly from your broker will be considered ‘verified’ because they cannot be falsified. Trades that are verified are shown with a blue check mark next to them so that other users know they are genuine. There is a problem with the Profit.ly trades verification system though. Although individual trades can be verified, there is nothing that stops a user from deleting their losing trades or simply not uploading them. This can of course greatly skew their profit/loss charts to make themselves look more profitable than they really are. Individual Profit.ly trades can be trusted but the overall performance of a trader could be faked. This is a HUGE flaw in the whole Profit.ly trades verification system! Profit.ly trades can be faked if they are not verified! A cool feature of the Profit.ly platform is the ‘Madoff’ button that allows users to self-police the trades that are uploaded. The button allows you to flag any trades that look like they might be fake. If you get your trades marked as false, you might even appear on the ‘most Madoffed’ leader board – how humiliating! I love the Profitly platform! I started trading with Superman on Profit.ly in 2013 and had some great success with the service. If you are just looking for a good platform to chart your trades, blog about your trading and meet other traders, then Profitly could be a great fit for you. I like the transparency, despite it being flawed and easy to game. I think that it is a good start to trying to bring honesty into an industry that has some shady characters. The Profit.ly leader boards allow you to check out who is making money and what guru you might like to learn from. Both of the current alert’s services offered on Profit.ly are high quality and have two different price options to suit your budget. I hope this Profit.ly review has been helpful. The Profitly sign up process is quick and easy. You can get the Profit.ly free account so give it a try! Profit.ly is an excellent platform to upload your trades to and keep track of your profits.